canonical | Unity and Ubuntu – Tweaks you must know! Canonical has joined the project advisory board for The Document Foundation, the non-profit organization who shepherd development of LibreOffice. This post, Canonical Takes a Seat On The Document Foundation’s Advisory Board, was written by Joey-Elijah Sneddon and first appeared on OMG! Ubuntu!. This entry was posted in canonical, libreoffice, News on July 26, 2016 by unityadmin. Several high-profile telecom carriers have signalled their interest in Ubuntu Touch, Canonical’s mobile platform. Eight telecoms carriers means it’s time to get excited, right? Not quite. The CAG formation shows that there is a strong level of interest from the associated carriers in Ubuntu Touch as a platform – but it’s not a commitment to launch Ubuntu Touch on their networks ASAP. Many of the companies are also part of other advisory projects for other mobile OSes. 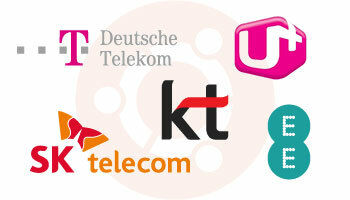 Deutsche Telekom and Telefonica – rumoured to be the ‘unnamed spanish carrier’ – for example, are also involved with Mozilla’s Firefox OS, as are SK Telecom. Sk Telecom also find time to be part of the Tizen Advisory Group. But it’s still very good news for Canonical and anyone hoping to see Ubuntu Touch made a success. The companies involved in the CAG will be briefed “about device manufacturer plans to support the OS, as well as the opportunity to be a launch partner for Ubuntu on smartphones,” Canonical has said. Today’s CAG announcement marks a significant step forward for the fledgling Ubuntu Touch platform – but gaining the interest from carriers is only part of the battle. Next, Ubuntu Touch needs to get device manufacturers on board, and harness the app developer community into producing high-quality, useful apps to fill the plugs that may be left by apps not willing to port over to the platform. To get these carriers to take a punt on Ubuntu Touch it needs to start rising above the rest of the disruptive mobile OSes also vying for the same attention. The post 8 Major Mobile Carriers Join Ubuntu Touch Advisory Group appeared first on OMG! Ubuntu!. This entry was posted in canonical, News, Ubuntu Phone, ubuntu touch on June 18, 2013 by unityadmin.